Today’s guest post is from Eric Olson, author of the Digital Water blog and a previous contributor to PLI. Well, I haven’t had much time to write here for quite a while, but the Edward Snowden affair – and more specifically this piece in the Guardian – were such a terrific display of the Digital Water concept and “a world awash in data” that I couldn’t resist, despite my current schedule. This story is kind of a delicious “triple play” on the concept. I suppose before I dive in I should probably comment on using the word “delicious” in this context since I know there is an awful lot of outrage and shock on all sides of this debate. Some are appalled by Snowden’s revelations, i.e. the supposed extent of the NSA’s electronic eavesdropping on everyone and everything including American citizens. Others are appalled by Snowden’s actions and consider it nothing short of capital treason. Those two viewpoints need not even be fundamentally in conflict – I’m sure there are folks out there who are both appalled by the NSA’s supposed activities and would like to see Snowden executed for treason. I confess that, on the first point – the extent of the data collection and the agency’s capabilities – I myself am relatively unfazed. I’ve been in the Open Source Intelligence business for almost 15 years. Given the shock many people express at what I could find out about them with nothing but a laptop at a Starbucks, I just can’t be wowed by what must be possible for a huge entity with a mania for secrecy, almost no oversight and an 11-digit budget. The Echelon, or “Big Ear” controversy of the late 1990s(!) outed many of these supposed capabilities, and anyone who has even flipped through a James Bamford book would probably be slightly less bewildered at the ability (though perhaps not at the willingness) of NSA to do the things alleged. Anyway, wherever you stand on the particulars of the Snowden case, this article in the Guardian (which originally broke the story in an earlier piece) illustrates exactly the kind of world I have been trying to noodle over with this blog. Here’s the “can’t anybody keep a secret any more? !” meme hat trick for this one little Web page. Ready…. 1. The NSA – The most obvious. If you take him at his word, “The NSA has built an infrastructure that allows it to intercept almost everything. With this capability, the vast majority of human communications are automatically ingested without targeting. If I wanted to see your emails or your wife’s phone, all I have to do is use intercepts. I can get your emails, passwords, phone records, credit cards… The extent of their capabilities is horrifying.” While we can argue the legal and moral issues, as a technological matter, this hardly should be a shocker given that we live in a world where your department store can tell when you’re pregnant (even if your parents can’t yet). So – Level 1: John Q. Public can’t really keep a secret in the digital world. Almost anything you say, send or type outside a locked, airtight room can be captured, analyzed and recorded if someone deems you interesting enough. 2. Edward Snowden – So the NSA is, by its very nature, ultra-secretive, institutionally paranoid and famously tight lipped (Jim Bamford’s books notwithstanding). Yet every organization is made up of people, and like any group of the NSA’s estimated 40,000 employees, they will hold a diversity of views. 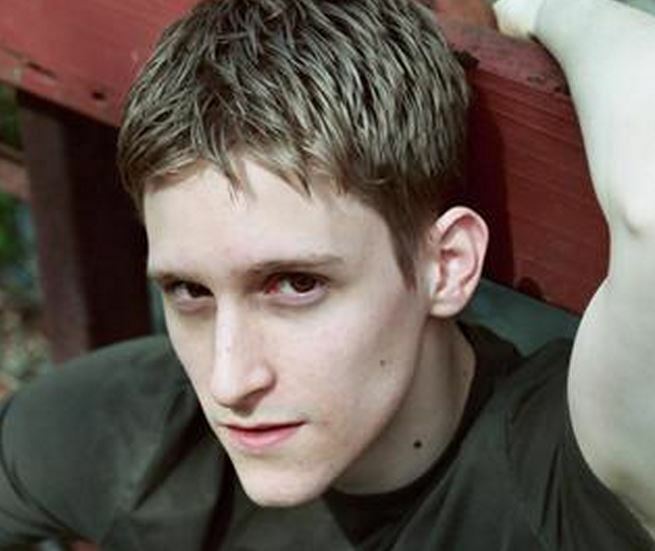 Now by all accounts to date, Snowden was a patriotic, smart kid who joined the Army Reserve and worked for the CIA. He obviously had been scrutinized, checked out and picked apart. You don’t get to play inside The Puzzle Palace if you’re an anti-government radical. Yet what Snowden saw working as an NSA contractor motivated him to leak, speak, and flee the country. Level 2? For all the supposedly terrifying ability to spy that Snowden witnessed, one insider with a moral objection meant they couldn’t keep their secrets secret either. 3. The guys at the airport – My absolute favorite (and why I found this page so delicious). So in this sometimes-bizarre corner of the world here inside the DC beltway, it is not at all uncommon for lots of people with plastic ID badges on lanyards to be overheard talking about the sorts of things that, in most of the country, would seem at home only in a Tom Clancy novel. You can walk through certain shopping mall food courts at lunch and hear phrases like “I’m cleared up the wazoo – TS-SCI with lifestyle poly plus some special stuff” or “sure, anybody can read a license plate from outer space, but we can do it at night!”. Like cars in Lansing or Dearborn, surveillance and Intelligence and secret-squirrel military programs are just kind of the local business, and this is a factory town. A lot of people here take this stuff veeeery seriously. So it is not entirely remarkable when the guys at the bottom of the page opine that Snowden, that dirty, rotten, no-good treasonous so-and-so ought to be “disappeared”. The part I love so much was the extreme low-tech surveillance system that outed their conversation. They said it out loud and in public, and a “Little Ear” (you know, the biological one attached to the guy sitting across from them) in the airport captured it. He then used a few hundred bucks worth of smartphone to record part of the conversation and Tweeted about it to the whole world. So- Quis custodiet ipsos custodes? Apparently any employee with a conscience or every jackass with a cell phone. I think that’s probably reassuring, but I have to think some more about it. The world really is full of dangerous people who hate us. Meanwhile – my own personal take on the Snowden thing? (I’m speaking technologically here, I leave the constitutional and legal questions for others to debate.) IF you matter enough to someone, there are no secrets. Most of us just enjoy security through obscurity. The only reason our privacy is safe for most of us is we’re utterly uninteresting. You may not like it, but information and technology are inextricably linked. The capability to do what NSA does can’t be uninvented. We can do it… so can other countries. We can only decide as a society whether we can strike the appropriate balance between protecting ourselves from those without and those within. Simply amazing thoughts and ideas here Eric. Thanks. On the “uninteresting” part. I encourage you, as you think more on the topic, to delve into what is interesting. Level one for the NSA is people actively talking about engaging in terrorist acts. But there are so many levels beyond that. Could not the same data indicate the next mass shooting at a school being planned? There is probably a profile of web activity that can come pretty close to predicting when someone is going to “go postal”. Putting our futurist hat on, imagine a behavioral profile for every single uninteresting person in the US. As soon as their behavior deviates from “normal” they appear as a yellow alert on some dashboard in a future Ministry of Prevention and special surveillance is enacted to forestall a heinous crime. That would be one possible use of surveillance of uninteresting people. What about crowd behavior? Every individual is part of a community. Historically, the greatest threat to every government is the population of the governed. We know that politicians, or rather, their organizations, spend a lot on ascertaining how voters lean on particular issues. What if those politicians, once elected, carry over their “sentiment monitoring” into governance? Like the detection of pregnancies via buying behavior the government could predict and therefore manipulate sentiments before they were even articulated in the media. Truly a brave new world. I think U.S. Supreme Court Justice Louis Brandeis said it best, “If the government becomes a law-breaker, it breeds contempt for the law. It invites every man to become a law unto himself. It invites anarchy.” in his dissent to the case Olmstead v. United States, 277 U.S. 438 (1928). When the court declared wiretapping private telephone conversations, obtained by federal agents without judicial approval and subsequently used as evidence, it constituted a violation of the Fourth and Fifth Amendments. I’m not sure what oath government employees take and I know contractors take none, but every military member and elected official swear to uphold the Constitution of the USA. The Constitution is the backbone of the nation, how can you defend it by defying everything it holds true. I don’t necessary agree with how Snowden went about ‘defending’ the people, but I’m not sure his moral sense was wrong. I want to see the nation and its people protected and the bad guys going to jail, but I don’t want to stoop to a police state to do it.